Are you looking for LED Dancefloor Hire in Northern Ireland? Our stunning white LED Dancefloor is one of the best in the province with various package options available for your wedding or event. You can choose from Dancefloor only packages to booking along with various forms of other entertainment such as a DJ to ensure your wedding, party, or event will be remembered long after it sis over. The most popular booking time for the dancefloor is 8pm – 1am but these times can be adjusted accordingly to suit you and your venue. 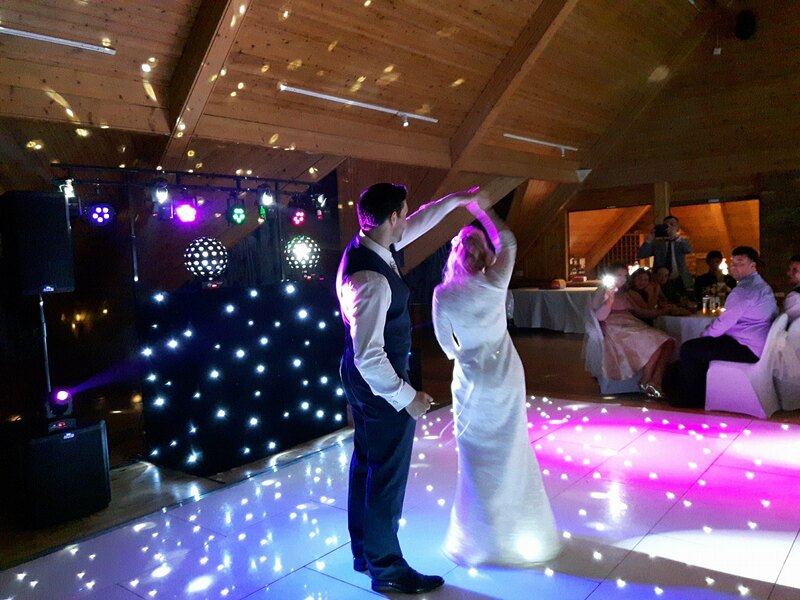 For weddings we can install the LED dancefloor in the morning so you can enjoy the stunning effect all day. Once you have booked we are available to contact 24 hours a day with any queries or suggestions you may have and will work with you and the venue staff to make sure your wedding or event is nothing less than perfect. We cover not only County Down but also anywhere in Northern Ireland. 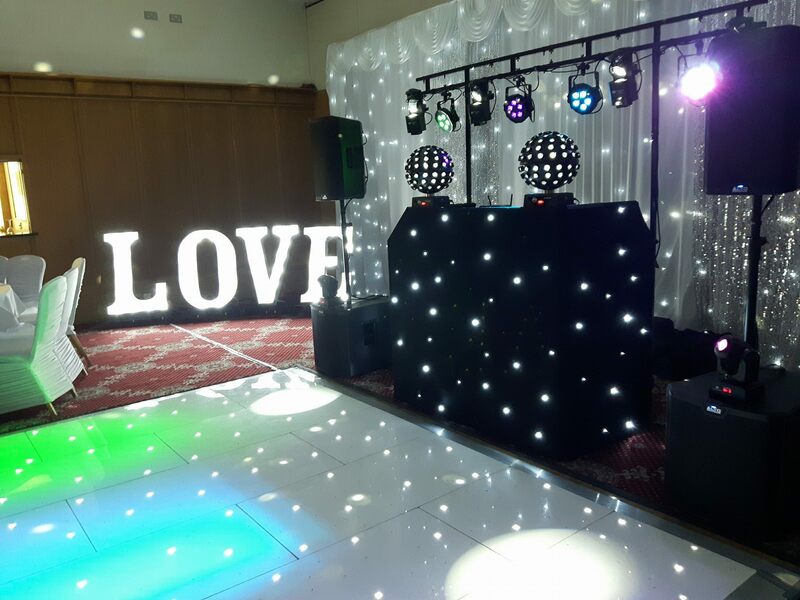 Our LED Dancefloor Hire services have been provided in venues such as The Galgorm Resort, Ballymena, Belfast Castle, The Sleive Donard in Newcastle, Lough Erne Resort, Enniskillen and many more across the province. Contact us today and let us make your Wedding or event sparkle.